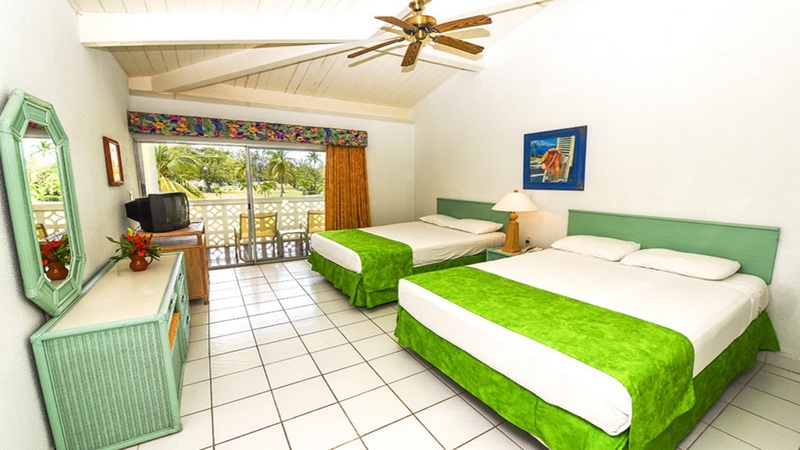 Paradise awaits at the colourful Starfish Jolly Beach Resort in Antigua. Nestled between tropical gardens and beautiful white sand beach, this typically Caribbean hideaway is sure to give you a taste of island life with its choice of four all-inclusive restaurants! Everything you could possibly need is within a short stroll from the resort, with the stunning Jolly Harbour Marina right on the doorstep. This is the perfect place to admire the bright colours of the Caribbean with a rum punch in hand and the sound of steel drums on the breeze. The Starfish Jolly Beach Resort enjoys a beachfront location. The Starfish Jolly Harbour is just a short walk away and features a variety of shops, restaurants, bars and entertainment. V C Bird International Airport is approximately 16km from the resort.